Creped surface. Grade 113/113V: 30 µm has ultra high loading capacity with a particle retention making it ideal for use with coarse or gelatinous precipitates. Creped surface. 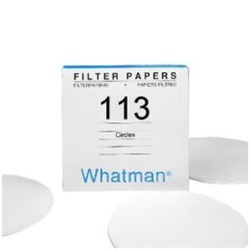 Thickest filter paper in the qualitative range.